Once you’ve formed or qualified your corporation or LLC, you may think your job is done when your paperwork is filed with the state. In actuality, the process of keeping your entity active and in compliance with state requirements is just beginning. Filing annual, biennial or periodic reports is an ongoing requirement in most states, and failing to file these reports is one of the easiest ways for entities to fall out of compliance with a state. When an entity is not in compliance, it is subject to penalties and administrative dissolution. In addition, you may risk losing protection over assets, trigger a default under certain financing agreements, experience delays in closing transactions and possibly lose rights to your entity name if your entity is administratively dissolved. That is why it is important to understand the facts of corporate compliance and to manage state requirements effectively. Myth: It’s simple to manage compliance requirements and track due dates. The reports are due at the same time every year. Fact: While some states may have less complex requirements than others, it can be difficult to keep track of each state’s rules and due dates, especially when you are qualified in more than one place. Each state has its own varying set of rules governing who, when and what a company needs to file within its specific state. Some states base their reporting due date on the anniversary day/month that the company formed or qualified to do business. Other states may have a designated day each year that the report is due, and yet other states may base the due date on the fiscal year end of the company itself. Some offer different rules for foreign and domestic entities. Also, the rules may vary within a state for each different type of business entity – corporations, limited liability companies, limited partnerships, etc. Myth: All states require the same information on annual, biennial or periodic reports. Fact: Some states, including Colorado and Iowa, require very little information, such as principal business address and the registered agent information. Other states, such as Alabama, Maryland and Texas, require complex and detailed financial information based on income and assets within the state to be reported. There are also states like Arkansas, Oklahoma, South Carolina and Wisconsin that require financial information for corporations only. In addition, state rules vary on who is authorized to sign reports. Many states are very specific as to who can sign the annual report filing and what its title needs to be when signing. If the proper information is not written on the report at the time of submittal, the state will reject the document and the process will need to start again. This delay can often lead to the company falling out of compliance. Without knowing all the rules and regulations that govern each particular state where charter documents are filed, it becomes a very cumbersome task to manage. Myth: My reports will always be handled in a timely fashion by the state. Fact: Budget cuts and furloughs have been delaying report processing times in many states. California, for example, is currently taking about four months to return Statement of Information evidence. In addition, based on budget constraints in the past, certain states like Arizona have changed the statutory due date to an arbitrary one chosen by the state due to reduced staffing levels that leave fewer state employees available to review and process the annual reports. 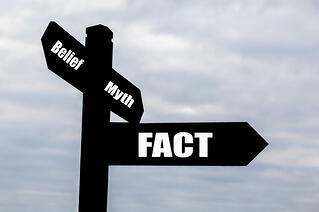 Myth: I don’t need to file my annual reports well in advance of the due dates. I can just file my reports online on or close to the due dates. Fact: Not every state offers online filing. Some jurisdictions, such as Washington D.C., require original signed documents. Some states are also in the process of switching to an electronic filing system, which can cause filing delays as the systems are tested and bugs are worked out. Myth: I received a notice saying my report is due soon. I don’t need to keep that, right? Fact: It is a good idea to keep track of notices from the state. They are great reminders and sometimes contain important information for filing your report, such as passwords or pin numbers. It is important, however, to look at the notices closely. Some unscrupulous companies send out notices that appear to be from the state, but in actuality they are solicitations – often for services that are not required. View samples of these kinds of misleading solicitations. It also should be noted that not every state sends a notice or reminder when a report is due. That is why it is beneficial to keep a calendar of due dates or to utilize an entity management system like COGENCY GLOBAL INC.’s Entity Central, which houses entity information, tracks report deadlines and provides automated event notification of upcoming due dates. Missing an annual, biennial or period report can end up being a costly mistake. As mentioned previously, a missed report can result in late fees, loss of good standing or even involuntary dissolution. It can also result in costly delays in closing transactions when evidence of good standing is required. It is essential to manage state requirements effectively in order to keep your company in compliance. The keys to succeeding in maintaining compliance are to be aware of the various state requirements and to find a good partner to consult with for current information or to assist with monitoring and filing what is required.